Romantic and floral without losing its understated charm, this ketubah is sure to please those looking for an updated yet traditional ketubah. The floral embellishments are drawn from 18th-century French embroidery designs, decorative and romantic. The pale gray background softens the charcoal text and art. 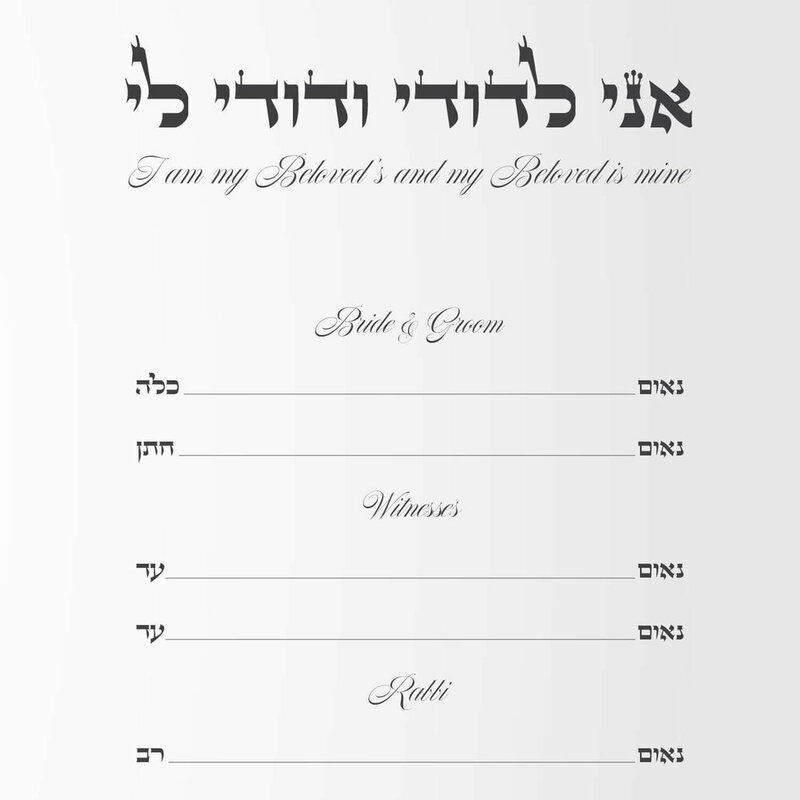 This design is beautifully legible at any size, although those ordering a Conservative ketubah may be happiest with the larger sizes. The smallest size is best reserved for single language texts.